Individuals looking to find a fast track to a rewarding medical career should consider training to be a physician assistant. These highly-regarded medical professionals do a variety of tasks, including physical examinations, ordering lab tests, diagnosing patients, prescribing drugs, counseling patients and assisting in surgery. Individuals looking to become a physician assistant should enter a program to earn a Master’s degree in Physician Assistant Studies, Health Science or Medical Science. A student is encouraged to verify that the school is accredited by the Accreditation Review Commission on Education for the Physician Assistant. Typically, these programs require individuals to have already completed a Bachelor’s degree that includes courses in basic and behavioral sciences. Schools are more likely to accept students who already have some experience in the medical field. Many emergency medical technicians and nurses choose to further their career by becoming a physician assistant. 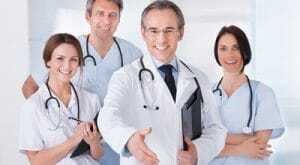 So how to become a physician assistant? Training to become a physician assistant is similar to training to become a medical doctor. Both groups take many of the same courses. The schedule is considered by most to be quite rigorous, and most students find it difficult to work outside their studies. Physician assistant students receive classroom and laboratory experience in subjects that include anatomy, pharmacology, clinical medicine, pathophysiology, hematology, pathology, microbiology, and physical diagnosis. The students then participate in clinical rotations in family medicine, pediatrics, obstetrics and gynecology, internal medicine, surgery, geriatric medicine, emergency medicine and surgery. Students are not required to complete any time in residency after finishing a physician assistant program, but the option is available for students interested in furthering their education in a clinical postgraduate program. For instance, a physician assistant might choose to continue his or her education in order to become an Army flight surgeon. Most accredited programs in the United States require students to pass the Physician Assistant National Certifying Exam before joining a postgraduate specialty program. After acquiring the initial certification, physician assistants must complete the Physician Assistant National Recertifying Exam every six years. Individuals are also required to complete 100 hours of continuing medical education every two years to retain certification by the National Commission on Certification of Physician Assistants. A professional license is required to practice as a physician assistant. License requirements vary by state. All states currently require applicants to have graduated from a school accredited by the Accreditation Review Commission on Education for the Physician Assistant. State licensing requirements vary due to many factors. Most notably, each state has different health codes, penal codes and labor laws. More information on individual state requirements can be obtained by visiting the National Commission on Certification of Physician Assistants website. Physician assistants work in a variety of settings. Many physician assistants choose to collaborate with a physician after schooling and certification. Typically, states require the supervising physician be licensed in the same state where the physician assistant will be working. All work performed by a physician assistant must be monitored and approved by a supervising physician. The supervising physician, however, may not be required to oversee the assistant in person. Some supervising physicians simply keep in touch with physician assistants through telecommunications. Private practitioners are frequently turning to physician assistants to handle an expanding patient load. They also frequently handle patients when the private practitioner needs to take a medical leave. These assistants are able to see patients, diagnose problems and prescribe drugs once the supervising physician has adopted a written, practice specific formulary and set of protocols that dictate which drugs are to be used for particular situations. When a physician assistant collaborates with a family medicine doctor, patients do not often differentiate between the two medical professions and consider the physician assistant their “family doctor.” However, physician assistants are not qualified to perform some complex procedures and are not allowed to prescribe narcotics. Currently, the U.S. Department of Veteran Affairs (VA) is the largest single employer of physician assistants. Over 2,000 of the nearly 70,000 physician assistants certified in the United States currently work for the VA. These physician assistants are used in VA hospitals and clinics, but they are also frequently used as advisers when it comes to paperwork and insurance claims. Physician assistants are also commonly employed by nursing homes, prisons, schools and public health clinics. 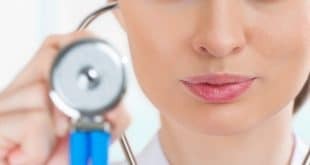 Because the salary of a physician assistant is lower than that of a medical doctor, these medial professionals bring a wealth of medical knowledge without the hefty salary required by a medical doctor. The demand for physician assistants is expected to climb significantly between now and 2016, according to the U.S. Department of Labor Bureau of Labor Statistics. This is due to an aging population and the need for cost containment in the medical industry. Most physician assistants make an average of $100,000. The salary for certain specialties can exceed $200,000 per year.